SKU: 0 609408422164. Category: Action, All, Fantasy, Released, Thriller. Tags: Future, Planet, Psychological, Sci-Fi. It’s 3074 A.D., A prison transport ship carrying some of the most dangerous criminals in the galaxy has crash landed on a remote planet. Only two survived the wreck — one accused of a terrorist bombing of a spaceship and the other, a soldier ordered to ensure the accused prisoner stands trial for the crime. As they journey into the toxic planet the lines between black and white, truth and fiction, are soon blurred and crossed in a mind game of secrets and lies. In this high stakes battle of survival, each becomes determined to control the other in the name of his convictions and faith. A sci-fi thriller that explores the minds of two men looking to survive on a toxic planet. 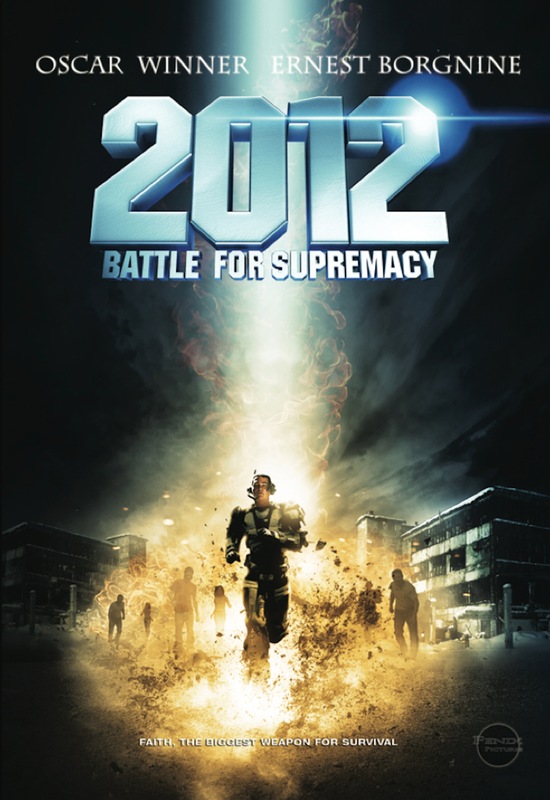 The movie explores the future that could be in store for humanity should the world come to an end in 2012 (a very popular form of entertainment today). Explores the depth of characters and the truth through shades of gray rather than black and white. Stars Ernest Borgnine who won the Oscar for best picture in 1956 and the Lifetime Achievement award in 2011.